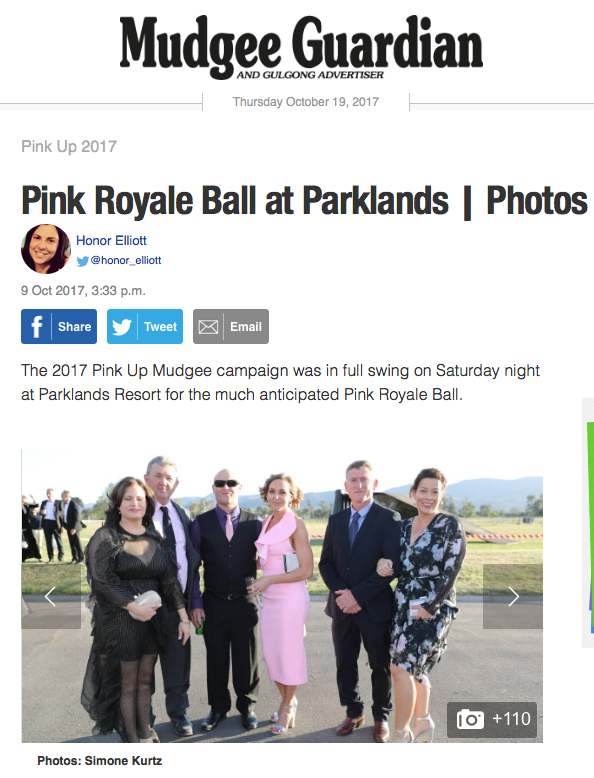 Mudgee’s social calendar has a new, pink addition – the Pink Royale Ball on October 7, 2017, at Parklands Resort. The ball hopes to raise much needed funds for breast care nurses on behalf of McGrath Foundation. The event will be hosted by cricketing great Glenn McGrath, as well as McGrath Foundation ambassador and director, Tracy Bevan. 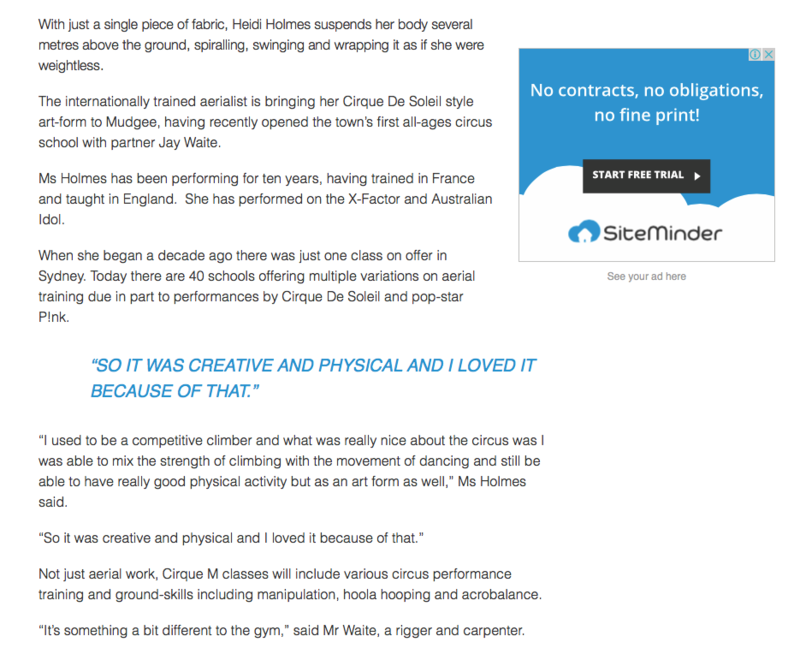 The Foundation was established after the death of Glenn McGrath’s wife Jane in 2008, who was also Bevan’s best friend. She continues the legacy of providing breast care nurses for those suffering breast cancer in honour of Jane’s work establishing the foundation. 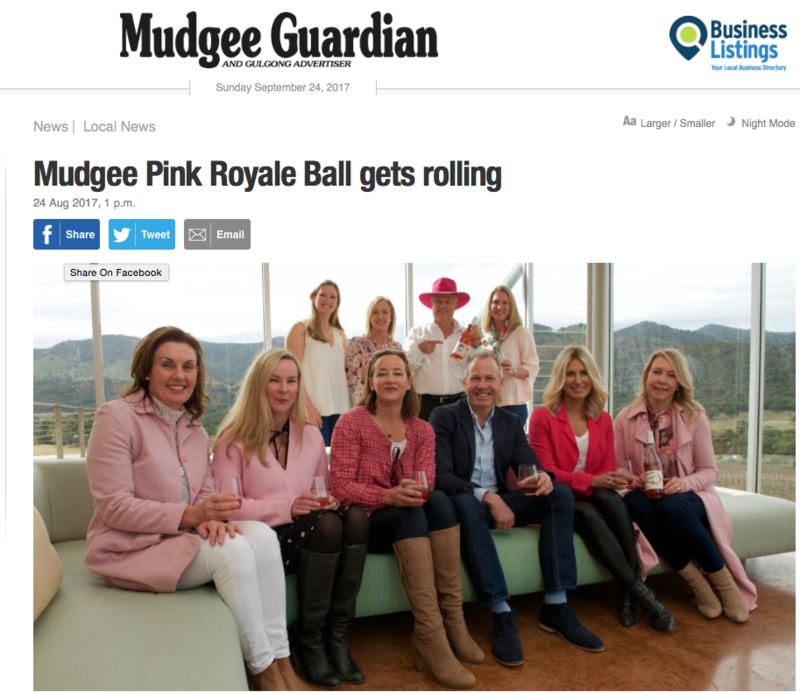 Speaking on behalf of the Pink Committee, Hugh Bateman said, “we are really excited about the ball and feel it will be the social event of the decade for Mudgee”. 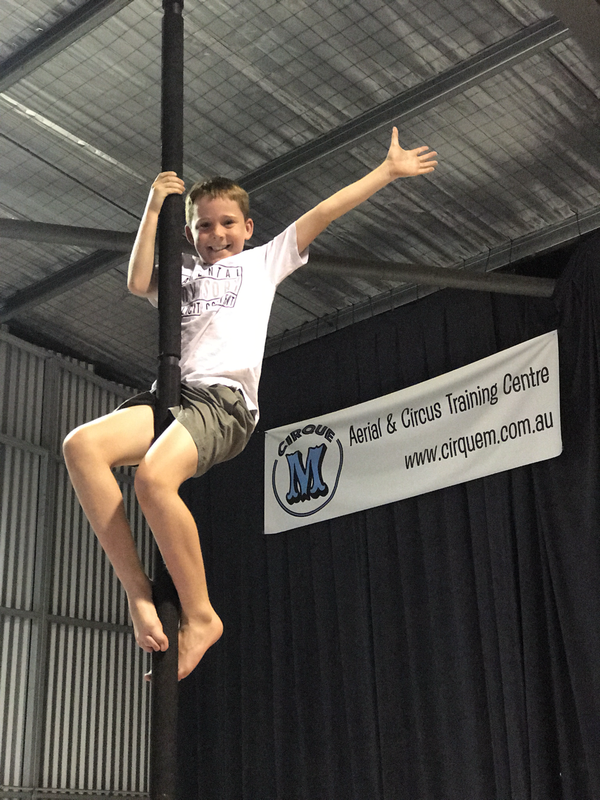 “The ball follows the success of the inaugural Pink Up Mudgee and the Spring Pink Races last year,” he said. The theme is vintage casino, based on Monte Carlo in the 1950’s, with gaming tables, a three-course meal designed by Masterchef winner, Julie Goodwin and the master of ceremonies is Natarsha Belling. 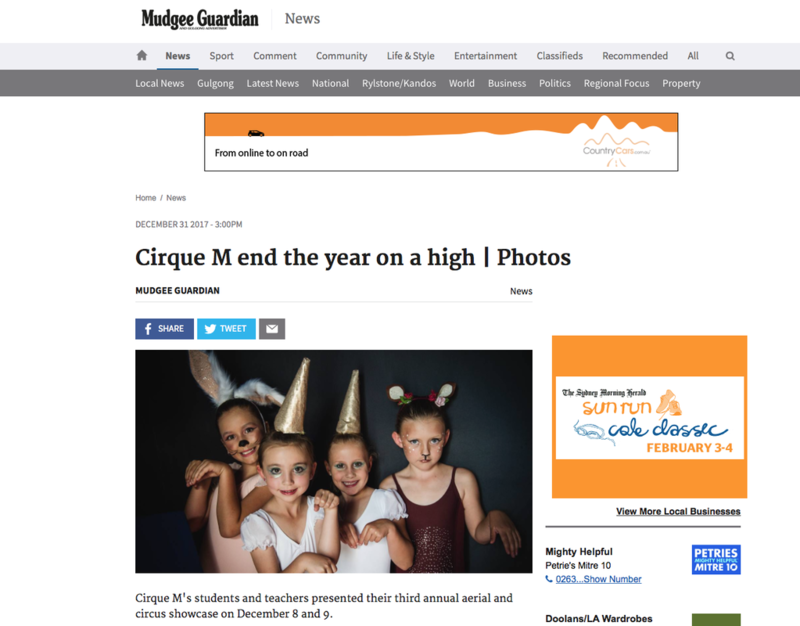 Mudgee’s relationship with the McGrath Foundation began in 2015 with local real estate agent and auctioneer Hugh Bateman embarking on a tractor trek across NSW. 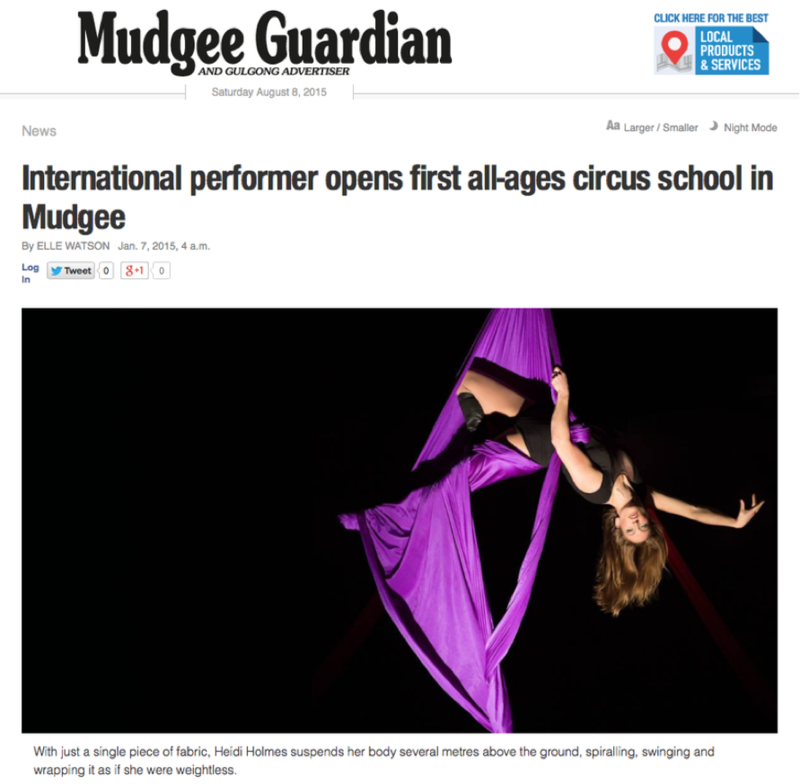 Hugh began in Mudgee and visited Dubbo, Orange, Griffith, Wollongong, Sydney, Long Jetty, Port Stiphens, Port Macquarie, Coffs Harbour and Muswellbrook, and raised $378,000 for the foundation. In 2016, Mudgee celebrated the inaugural Pink Up Mudgee during the month of October where businesses and the local community got together to ‘pink up the town’. Mudgee was awash in pink for the entire month with many local businesses pinking store fronts, lighting buildings and painting cars. This event was a huge success and raised $140,000 for breast care nurses on behalf of McGrath Foundation. Following its success the committee has organised the ball to continue the philanthropic partnership. 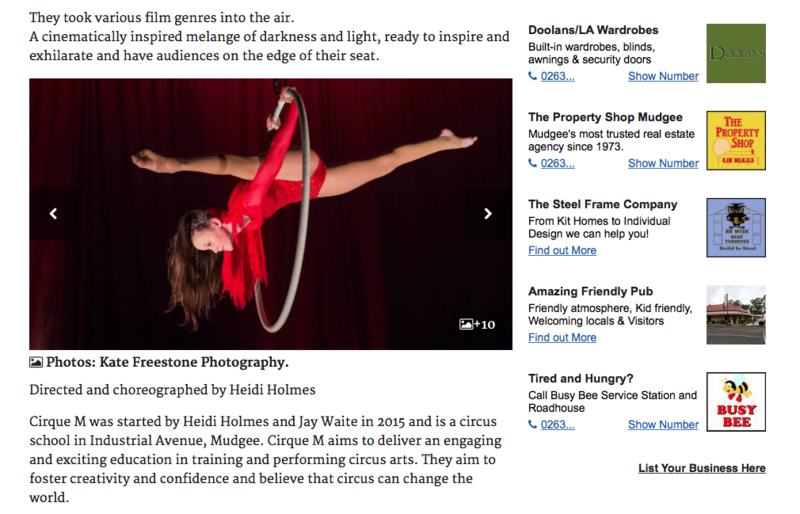 They thanked platinum sponsor Logan​ ​Wines​ and Cirque​ ​M for the aerials. Tickets from pinkroyaleball.eventbrite.com.au, The Property Shop or email pinkcommittee@gmail.com. 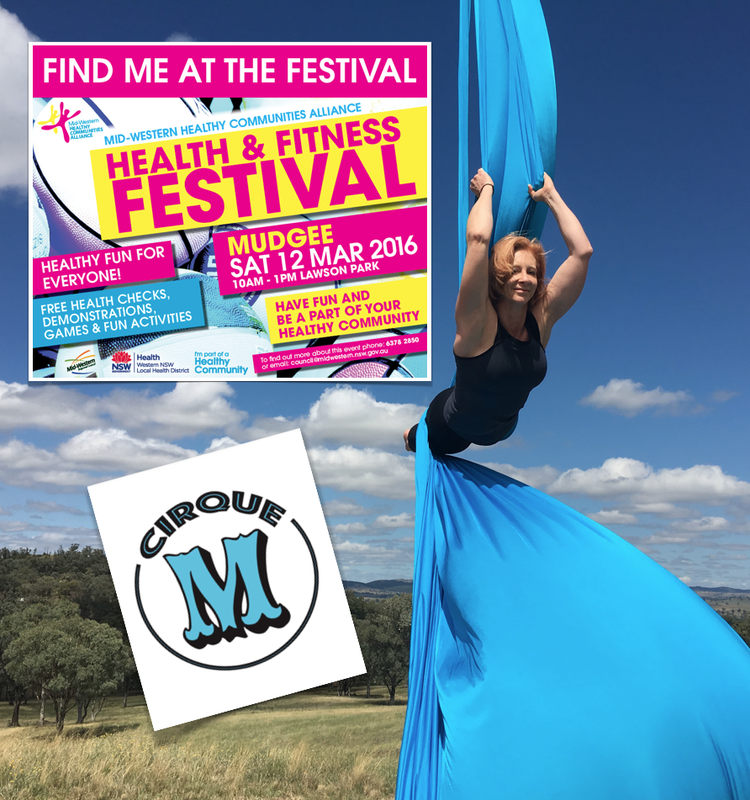 We had a fantastic day at the Mudgee Health and Fitness Festival on Saturday 14th March. 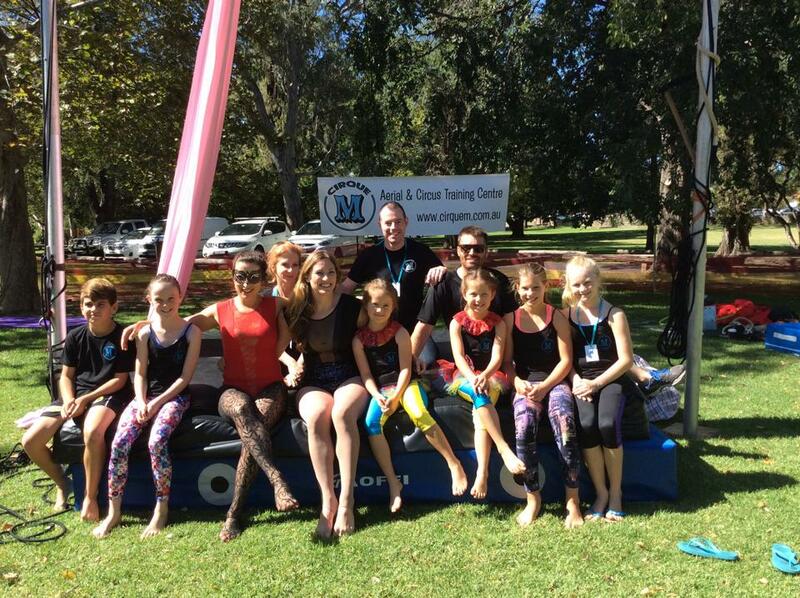 We put our giant aerial frame up and gave some demo's and our Cirque M kids did their first aerial performances. Thank you to all those who volunteered their time, we felt great to be a part of the Mudgee community of fit and active people.